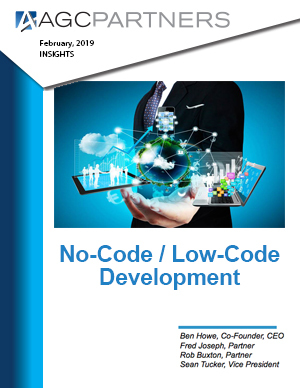 No-Code / Low-Code platforms are becoming increasingly popular as traditional development methods can’t keep up with the needs of enterprises for customized software. Digital business transformation is exacerbating the issue, while development backlogs are leading to the creation of “shadow IT.” Low-code and no-code platforms can make development up to 10 times faster with visual, declarative techniques, reusable components, drag-and-drop tools, and process modeling instead of traditional lines of code. Both professional developers and business users (citizen developers) can use these products to experiment, prototype, and deliver apps in days or weeks, not months or years.